Wait... who do you have to be attracted to in order to know you're Hispanic? 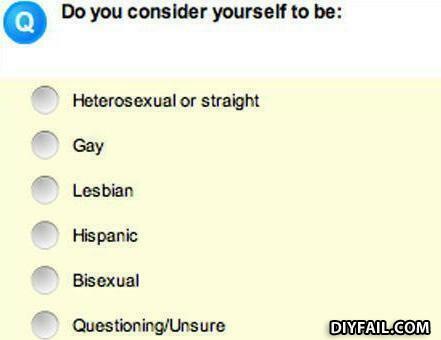 Can I be Hispanic if I'm strait? Actually if they put Bieber, it would automatically fall under the Gay section. Nice legs... what time do they open? Cos there is a pungent fish smell and I think you need to wash.